I think most of them realize that there is no hard and fast rule, and probably no “right answer”. Some may just be trying to find out if they are “in the right ballpark”. But I think the majority of those asking this question are asking it rhetorically. That is, they believe “in their gut” that their measurement system has gotten a bit unwieldy, and is starting to create breakdowns, confusion and loss of whatever momentum they once had. And based on my experience, they’re usually right. Are we talking KPI’s or Metrics? Now some of the Performance Management “purists” out there might say that we first must know what we’re talking about when we say the words ‘too many measures’. Are we talking about KPI’s or performance metrics? Are we talking “business” metrics” or “operating metrics“? Are we talking about “data elements” (inputs), or are we talking about the calculated metrics that show up on our dashboards and scorecards that utilize these data in their algorithms? Or are we simply talking about operating data and variances that we routinely report and track in our budgeting and forecasting environments? For today’s purpose, I’m going to stay clear of those distinctions. Mainly, because having too many measures can cause problems regardless of the type of measure it is. But also because we’ve had more than enough posts this week (including mine) that have discussed and debated what I would call “the semantics” or “the lexicon” of EPM. (Dashboards versus Scorecards, Enterprise vs. Portfolio Performance Management, Business Performance Management vs. the historical HR view of Performance Management (which interestingly suggests that HR is trying to manage something OTHER than “business results”- huh?). I even saw a post yesterday on “Application” Performance Management which suggests to me that we are dangerously close to every business function or process needing its own definition of Performance Management (along with the associated buzzwords and community of followers) for it to be effective. I’m sure there will no doubt be plenty of columns and blogs that will address these, and the myriad of new disciplines that emerge from continued innovation and new technology in the PM arena. No need to waste any more time (other than what I just did!) on that here. Instead, try to answer the question more directly based on my own experiences. I’ll also use these experiences to reveal the implications of going too far beyond what I believe is that optimal number of KPI’s that should be used to manage the enterprise. If I were pressed to answer the question “how many KPI’s are enough?” directly, I would of course “hedge” a little by opening with the “well, it depends” caveat. But I would still be comfortable laying out some broad rules of thumb that I think reflect the needs of an “average company”. For example, let’s assume the business has a clear and compelling vision and mission, a handful of established business goals, and subscribes to the ‘balanced scorecard’ notion of 4 or 5 perspectives (categories or stakeholder groupings if you will) within which goals, objectives, strategies and KPI’s are ultimately managed (i.e. Customer, Financial. Employee, Operating, etc.). See levels 1-3 of the below graphic. Within that scenario, I would say that the business should have a few key objectives within each of those groupings (left side of Level 4 boxes below). For example, in the Employee Area, one objective might be to “Maintain a Safe Workplace”, while another may be to have “Motivated and Engaged Employees”. My experience is that there are usually 2-5 (max) objectives for each major perspective or grouping. For each objective, you would then have anywhere from 1-3 KPI’s (right side of level 4 boxes below) to measure the success of each. In my experience, that’s as far as I go with what I call Key Performance Indicators at the corporate level. Do your own math, but my experience is a total of 20 to 30 KPI’s max. Larger companies with multiple business units (especially if highly diversified) may have significantly more than that, while smaller organizations with more limited focus may have less. But again, 20-30 is a good rule of thumb. If you’re jumping out of your seat right now, you may be one of those who believes at your core, that KPI’s should be a very small set of things that are “supercritical” to business success (as in 5 or 10, not 20 or 30). I’m not going to take issue there, because I happen to buy into that principle. In fact, I often will extract 5-10 indicators that for the business may be truly “key” or very essential to their success. But for me, I tend to view these as strategic KPI’s or goals that distinguish them from the full suite that I referred to earlier. The full suite (universe) of KPI’s for the business still falls in the 20-30 range. Now, assuming many of the KPI’s are “calculated” off of other data or metrics, and assuming that the company would desire to view each by a number of different dimensions (time period, segment, geography, etc. ), its easy to see the number of data elements (whether they are viewed as metrics, indicators, or source data) can jump well into the thousands or even tens of thousands. Ok- maybe I went into the jargon and distinctions more than I wanted to, but I wanted to give you a sense of why I believe the magic number of KPI’s (KEY performance indicators) is where I placed it…in the 20-30 range. And to do that, I guess I did need to define and explain the framework a little. Hopefully, the chart above gave you a sense of how that architecture fits together. But even if you buy into the structure I laid out above, there will always be variants. So don’t feel completely bound by the structure or words that I am using here, or the “rule of thumb” benchmark I’ve laid out. The exact number will always be unique to a business environment, but that number should be part of an overall roadmap of how you want to manage your EPM program. The reason for the type and number of KPI’s you select, should be to create balanced focus and direction, while aligning to your desired end point. Every business needs to have a small but balanced set of management perspectives (i.e. more than one) that they manage within, but not so many that it gets diluted and distracting. Same with the objectives you set, and the KPI’s that support them. There need to be enough to reflect business focus and priority, while stopping at the point at which it creates clutter and confusion. For me, that equates to a KPI number in the 20-30 range. And while drill downs and analytics will add exponentially to the number of metrics and data points accessed, they still reside in a structure which revolves around those 20-30 KPI’s. There are also some psychological reasons for the why we break our objectives and measures into convenient little chunks of 3-5 within each perspective, and sometimes smaller chunks within those, but that is a secondary factor that only amplifies the rule of thumb that I laid out. As I said earlier, my experience is that when someone asks me a question around the number of KPI’s they should have, it’s usually because there are in fact too many, and that quantity itself has created a dilution of focus. Or maybe its because the structure within which they reside is losing clarity and alignment. Usually it’s a combination of the two, and one drives the other. But the underlying cause of all of this is usually lack of preparation on the front end. Perhaps the organization jumped straight into a technology fix for what really is a process and cultural challenge. In these cases, the organization may have procured a tool that only works if you populate it with data. So they rapidly populate their dashboards and scorecards with as many metrics as they can think of, not considering the critical connections, relationships and architectural dynamics at play. Another reason is lack of ownership for the process. Sometimes it starts well, but without continued governance of the process, each business unit runs with their own vision of what “their” scorecard should look like. 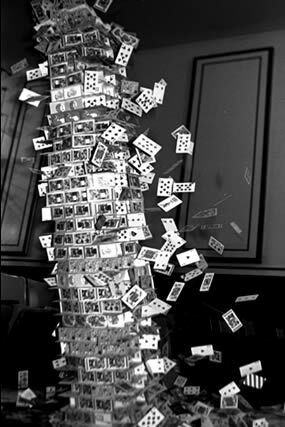 Sometimes, a clear and cogent integrated architecture miraculously appears out of the ashes, but more often than not, you end up with several different views of what success looks like. Metrics end up being misaligned, or worse, conflicting across multiple business units in the same organization. Whatever the reason, the problems of “runaway metrics” often manifest because there really was no EPM “Program” to begin with (no unifying framework to build upon)–just a set of tools to report and analyze data, and if you’re lucky, a few guidelines for how to use “the tool”. In those environments, its not uncommon for us to find medium to large companies tracking hundreds or even thousands of things that middle and upper management refer to as KPI’s, without any real semblance of an EPM program or platform in place. And no matter what definition or distinction you want to use, that’s way too many. Complicating all of this, is day to day realities of management reassignments, the natural comings and goings associated with staff turnover, and sometimes major changes in leadership that can (and often should) initiate a change in course, along with the emergence of new navigational beacons and waypoints (i.e. new KPI’s). But rather than changing the structure of their EPM platform, and replacing one set of waypoints with the new ones, they simply layer the new set on top of the old. 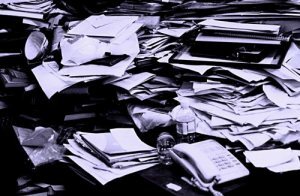 At some point, the companies become what I call “hoarders of metrics”, and before long, an otherwise harmless but impotent process, begins to look like utter chaos. While the word “layers” often has a negative connotation, they are often useful in establishing an architecture for a solution, and by design, can actually create strength within the system. 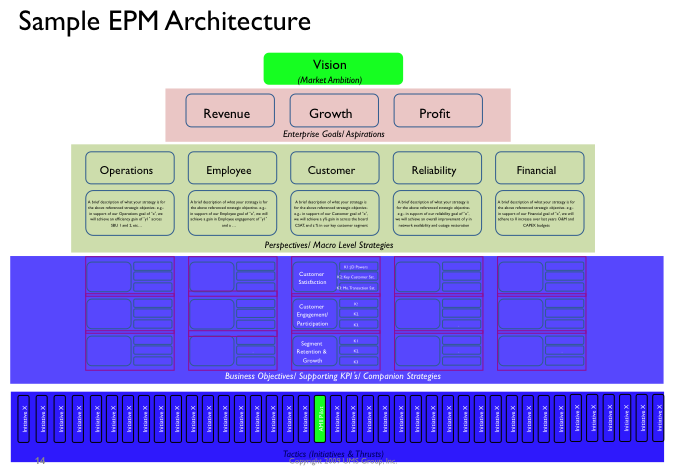 The architecture I describe above, and the type of “line of sight” thinking I described in yesterday’s post are examples of how this can be used to strengthen your EPM program. But when the layering is done without a deliberate structure and blueprint, these layers (new metrics on top of old, bad metrics on top of good) can, and often does, cause the system to collapse under its own weight. Know where you are today-Without getting caught up in all the lingo, do a simple inventory of your process vis a vis the framework I laid out above. Ask yourself, how many objectives you have within each key domain. How many top level metrics are there that support these objectives (things that senior management routinely uses to monitor and talk about)? Are there metrics we track that are redundant and perhaps don’t support any of our objectives? Are some objectives missing the metrics needed to track their achievement? What does that picture look like for you in terms of structure and number of KPI’s, and is some “pruning” warranted? Commit to an Architecture – We all acknowledge the advice “measure twice, cut once”. That’s even more important here, as the organization can only withstand a failure or two in trying to get a performance management system in place without experiencing major “cultural fallout”. Continuing to “experiment” with measurement and KPI’s without having an architecture and blueprint to guide that process (even if its a crude one) is setting the stage for many of the above challenges and breakdowns. Understand the role of the KPI (versus other parts of the structure)- I’m not talking about getting hell bent on semantics, but I do think there is some value in teaching the organization the difference between a KEY performance indicator, and the myriad of other data and statistical fodder that may be used within the overall system. Use the rule of thumb I laid out earlier to guide and test whether this distinction is sinking in. Build down, Not around– If I had to pick a direction to build your EPM architecture, I would say start at the top and work down. Once you are at the KPI level, you should be able to start allocating out accountabilities for their achievement, and then, if your culture supports it, those accountabilities can be disbursed in a measurable way to your staff via individual and work team metrics, from which appraisals and reward structures can then be linked. I differentiate this from the notion of building “around”, in which I mean taking the concept of EPM (a prototype) and repeatedly testing it out in new areas and business functions, without any clear roadmap or enterprise structure in place. While that can certainly kick start measurement activity and get things moving, it can also propagate some bad thinking if the underlying architecture and core practices at the enterprise level are not in place. Establish a vetting process for new metrics– Its important to recognize why people develop metrics in the first place. We’d like to think that its all from a noble ambition to help the company improve, out of a pure hunger for data. But it goes way beyond that. People develop metrics for everything from defending their turf to getting their point heard. Since data is now the currency through which corporate truth in now established (which is a good thing), so don’t be surprised when the number of metrics begins expanding exponentially. At that point though, you want to make sure your core system does not get infected with junk; so to prevent that, make sure you have a process or checklist to vet any addition of new metrics into the corporate framework. Set aside time for “pruning”-Every strategic planning process, should have a step in which KPI’s and the underlying performance architecture for the business is reviewed. Measures that are no longer relevant, or no longer adding value should be dropped. Unclear linkages upward and downward should be evaluated and strengthened. New business objectives should come into play along with their companion KPI’s, but more often than not, they should end up replacing a measure that may have gone away or diminished in importance. Don’t be afraid to “cycle down” a KPI – Sometimes, pruning won’t involve eliminating a measure entirely. For example, if your ambition was to imporve or optimize a measure, and you’ve now achieved the optimal point, it may be time to simply go into maintenance mode and start reporting on a lower frequency (weekly to monthly, monthly to annually, and so forth). Think about how many of your measures don’t change one hill of beans throughout the year, yet they continue to take up valuable “real estate” on your dashboards and the often scarce mind-space of your executive team. Anyone who does yard work or gardening knows that “pruning”, while it involves cutting back, is really designed to produce a healthier and more vibrant plant, shrub or tree. And rather than producing growth outward (taller and wider), it instead encourages the growth the be “fuller” and often “healthier” in future growing seasons. Next year’s growth fills in those “holes” that may have been unsightly, and encourages a more deliberate growing and robust pattern. Hence, your long term plans for the garden and landscape start manifesting and coming to life the way they were initially envisioned. That same kind of annual pruning and renewal process can be just as effective in establishing a healthy growing pattern for your EPM initiative, a pattern that can otherwise get interrupted by the confusion, distraction and conflict caused by an unwieldy and burdensome performance measurement process. And, as with everything from gardening to weight gain to maintenance of our autos, its always easier to manage it along the way rather than waiting until there is a problem. And with that, I’ll wish you all happy “KPI pruning”!! This entry was posted in Budgeting and Reporting, Business Process Improvement, CAPEX, Change Management, Corporate Performance Management, Customer Service, data quality, Enterprise Performance, KPI, Performance Management, Performance Measurement by Bob Champagne. Bookmark the permalink. This post echoes my thoughts quite nicely. Aside from the obvious, “Why are we measuring?”, I encourage teams to ask, “What influence do these metrics have on your organizational and individual behaviors?” What type of responses do the metrics invoke and who is ultimately responsible for remedial and / or corrective actions? The windshield wiper effect kicks in with too many metrics. How many times has someone reminded you to turn off the wipers long after the rain has stopped? Maybe I’m aging myself and yes I’m thankful for the autowiper sensor in my car. Bob, great post. I’m one of those guys who tends to get a bit hung up on the difference between KPIs and metrics but that doesn’t take away from your point. 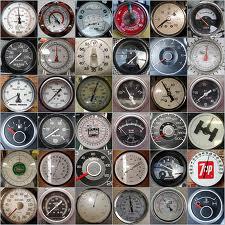 As far as how many metrics, I’ve always subscribed to the handy mnemonic “Twenty is plenty”. Oh…and good luck to Duke in the tourney…loos like you have a good lead right now (443 on sunday vs mich). Don’t blow it! !